Coffee drinking is a norm across the globe, even among nations that are seen as traditionally being tea drinkers. Over 50% of American adults drink coffee daily despite the fact that coffee had been considered to be bad for your health for many decades. 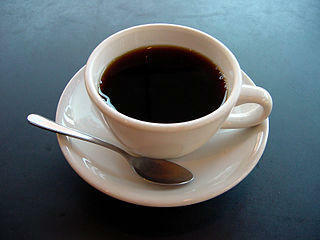 The fact is that coffee actually has health benefits and according to experts, these benefits outweigh the health risks. Many of the health risks associated with coffee are unfounded. However, as with any food or drink, too much of coffee can definitely have an adverse impact on your health. A cup or two of coffee daily is well within the safe limits and likely to offer you some of the health benefits associated with this popular drink. Several studies have shown that consuming coffee could in fact lower the risk of developing Parkinson’s disease. It is believed to be due to the caffeine content in coffee as this protective effect is also seen with tea and green tea. However, there may be other ingredients in coffee that synergistically work with caffeine. Similar to cigarette smoking which may offer some neuroprotective benefits, coffee drinking should not be undertaken solely to protect against Parkinson’s disease. A recent study in 2012 has also shown that coffee drinking may help with some of the movement symptoms that occur in Parkinson’s but once again coffee is not a recommended treatment. We all know the risk of alcohol consumption in liver disease. 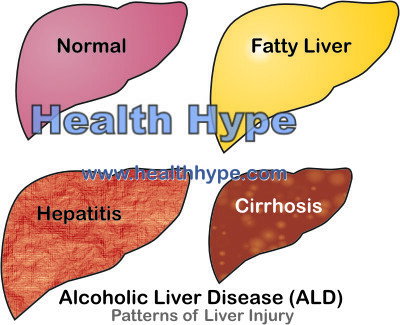 Reducing alcohol intake or stopping it altogether is ideally the best way to reduce your risk of these diseases such as liver cirrhosis. But coffee may also help. A 2006 study that observed over 100,000 people over a 20 year period noted that just one cup of coffee a day could reduce the risk of alcoholic cirrhosis by as much as 20%. The benefits increased with larger daily coffee consumption. But even if you are not an alcohol drinker, coffee may still offer you some liver protection. Coffee may help prevent non-alcoholic fatty liver disease and even slow its progression once it starts. Antioxidants have become somewhat of a buzzword in healthcare in recent years. But it simply refers to substances that protect your body by neutralizing harmful substances known as free radicals. It is widely known that fresh fruit and vegetables are abundant in antioxidants but so is coffee. For the vast majority of American adults, coffee is the main source of dietary antioxidants. This does not mean that coffee is the best source of antioxidants – that title is still dominated by dates based on the serving size. However, in the context of the American diet coffee may in fact be the best source of antioxidants based on both its serving size and frequency of consumption in the United States. It is well known that the diabetes epidemic is a concern across the globe. While genetics do play a significant role in the development of type 2 diabetes, obesity and a sedentary lifestyle have been driving the incidence in recent decades. Type 2 diabetes accounts for as much as 95% of diabetes cases around the world and coffee may have a beneficial role to play in the epidemic. Studies suggest that coffee may be able to block the misfolding of a protein that is responsible for type 2 diabetes development. These same studies have noted that drinking four or more cups of coffee daily can possibly reduce type 2 diabetes risk by as much as 50% with a further 7% reduction for every cup thereafter. The caffeine, and sometimes sugar, ‘high’ from drinking coffee makes everybody feel good at least for a short period of time. But there is probably more to the link between coffee and depression that meets the eye. It seems like the antioxidant properties of coffee may play a role in reducing the risk of depression by around 10% for people who consume four or more cups daily. Coffee is believed to have a mild antidepressant effect which is very significant in the context of suicide. Just two to four cups of coffee a day has been shown to reduce the risk of suicide in both men and women by as much as 50%. Coffee appears to play a beneficial role in skin cancer protection. But it is not coffee itself. Rather the link has been noted with caffeine and the benefits could apply to several caffeinated beverages. Decaffeinated coffee does not count and it was investigated in studies to determine whether the benefit lay in coffee as a drink or caffeine itself. What has been found is that drinking coffee daily, 3 cups or more per day, could reduce the risk of both squamous cell carcinoma and basal cell carcinoma which are two types of skin cancer. Remember though, cigarette smoking and sunlight exposure are two modifiable risk factors that should be focused on in skin cancer prevention rather than just increasing coffee consumption. It may not be as significant as some of the other health benefits of coffee but a study has found that coffee could slow the onset of Alzheimer’s disease by between 2 to 4 years in people older than 65 years. The exact cause of Alzheimer’s disease is still a mystery and the role coffee plays in delaying the onset in equally puzzling. The study found that the key is caffeine and not only coffee. However, it does further support the findings with other neurodegenerative conditions like Parkinson’s disease where coffee was found to lower the risk of PD and even prove beneficial in the management of motor symptoms. The benefits of coffee for weight loss is still controversial. Although some of the effects of coffee may have a role to play in weight loss, the effects are moderate at best for the average coffee drinker and unlikely to be permanent. Obesity in the absence of contributing diseases like hypothyroidism is a result of excess calorie intake compared to calorie consumption in physical activity. The only way to overcome this is to consume less calories through a balanced calorie-restricted diet while increase calorie expenditure through exercise. Coffee may increase water excretion since coffee has diuretic properties, and it may momentarily increase calorie utilization. However, the effects are short term and without proper dietary and lifestyle modification, coffee is unlikely to contribute significantly to weight loss.